New energy innovations will be centered on digital technologies and the strategic use of data, according to a new research recently published. A shift is coming in the energy industry from a focus on hardware to the increased importance of software in order to make systems more efficient, resilient, and digital. Digitalization of Energy Systems, a report by Bloomberg New Energy Finance (BNEF), predicts significant shifts in the intelligence of digital technologies used in energy from today to 2025, and a big change in the sectors of the energy system that most benefit from these technologies. Today, the biggest use of digital technologies like sensors, data collection and analytics in the energy sector is to improve the bottom line of fossil fuel generators. Revenue for digital services for fossil fuel operation and maintenance, or O&M, are estimated to be $24 billion in 2017 – some 44% of the total market size for digitalization measured by BNEF. However, as natural gas and coal plants come offline, and those that remain become digitalized, the opportunities for new revenues from the fossil fuel sector will shrink. By 2025, digital technologies will be more intelligent and more capable, helping home owners that own rooftop solar, batteries or EVs (often termed ‘prosumers’), to become more autonomous and derive greater value from these assets. This could be through trading energy with neighbors or better management of peak power prices. Digital technologies like big data, analytics and machine learning, blockchain, distributed energy resource management, and cloud computing, can help overcome some of the key challenges in the energy sector – most notably intermittency, aging grids, balancing distribution-connected generation, managing consumer self-generation, and coping with increasing system complexity. “Countries with high penetration of distributed renewables, good communications network infrastructure, and robust venture capital investment in digital technologies are likely to take rapid advantage of energy digitalization,” said Julia Attwood, associate on the emerging technology analysis team and lead author of the report. “Italy, for instance, is one of the global leaders in small-scale PV, has almost 100% high speed network coverage, and supportive regulation for digital technologies,” Attwood added. The U.S. will also do well, having long been a leader in digital technologies and early-stage fundraising. 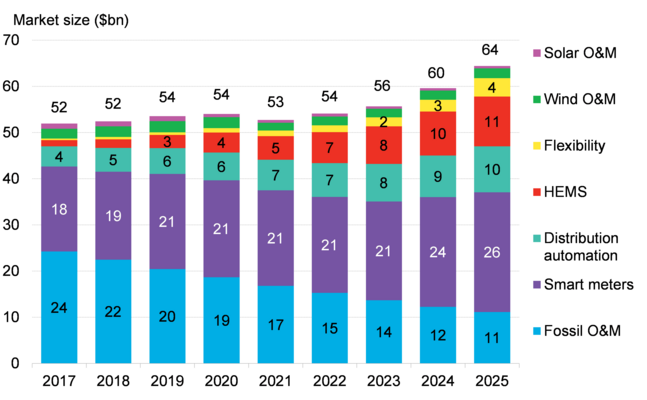 Australia, although ranking lower today, will move near the top of the group in 2025 due to high forecast levels of decentralized energy production. 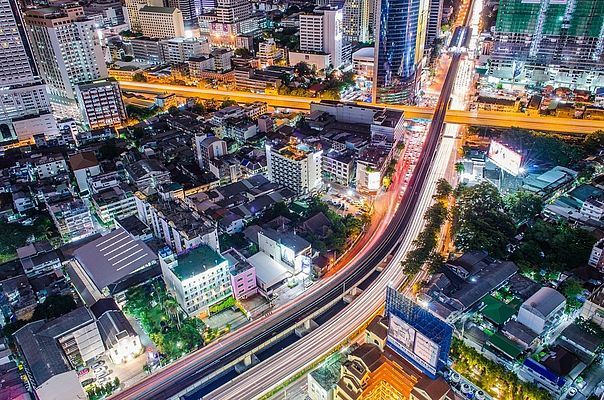 In emerging markets, countries that have beneficial government policies, foster innovative start-ups and are rolling-out network infrastructure are likely to digitalize soonest – for example Chile, Indonesia and Nigeria. The motivation for industry digitalization will be different for each player. Generators and ‘prosumers’ are motivated by cost reduction, additional revenue streams and new services. Utilities face pressure from customers, government policy and regulation to improve their businesses. They can use digitization to streamline operations and enhance customer services.